Many of the cakes for this weekend were for 50th and 60th surprise parties. A surprise party cake for a woman named Betty who loves all things Betty Boop. 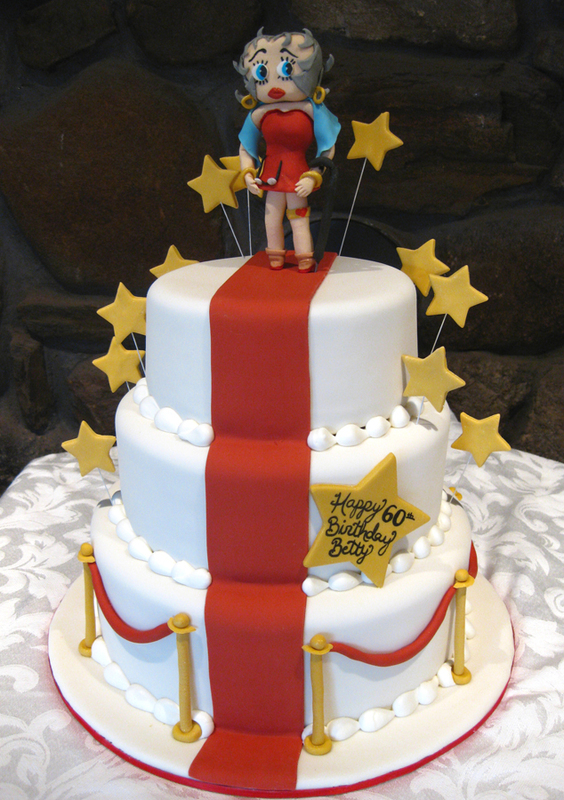 Her daughter ordered the cake with the idea that Betty Boop should look a little aged. So we gave her gray hair, a cane, shawl, bifocals, and opps, her nylon stockings are slipping down. When we arrived for delivery we saw they even had a red carpet rolled out for the birthday girl complete with velvet ropes and gold stars. The cake was a perfect match for the party. 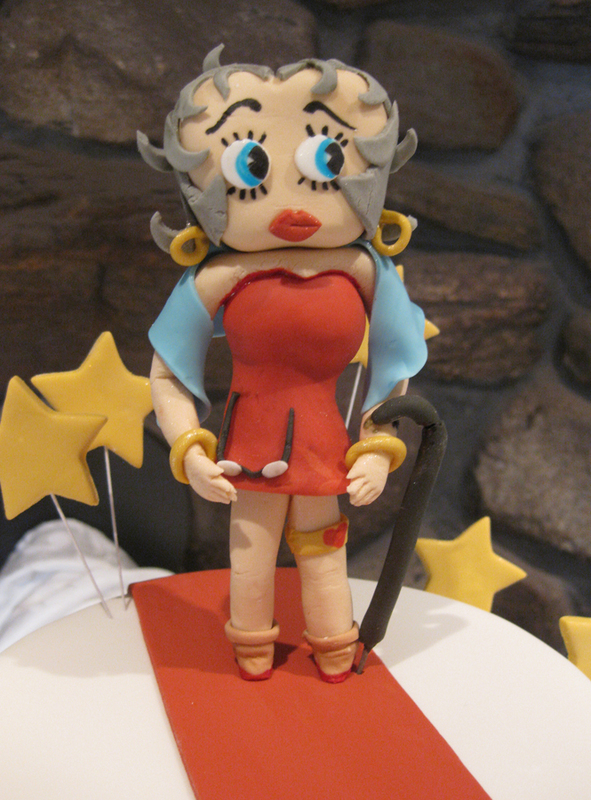 Here’s a close up of aged Betty Boop. The other surprise party was for my own mommy dearest. 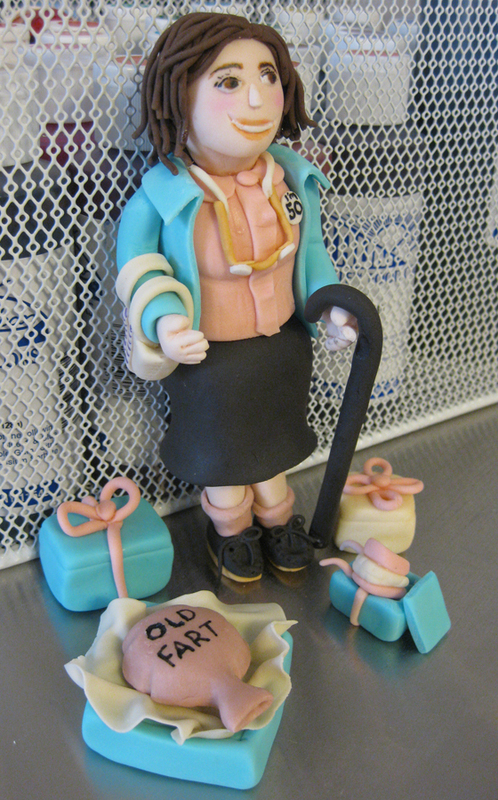 I created a figurine of her complete with all the 50th birthday gag gifts. Sadly I could not be there for the surprise so I mailed it to my sisters who baked and decorated the cake and added my decorations. Mom loved it. The best part was she actually got the 50 pin, cane, bifocals, whoopie cousin, as gifts at her party, all except the dentures. 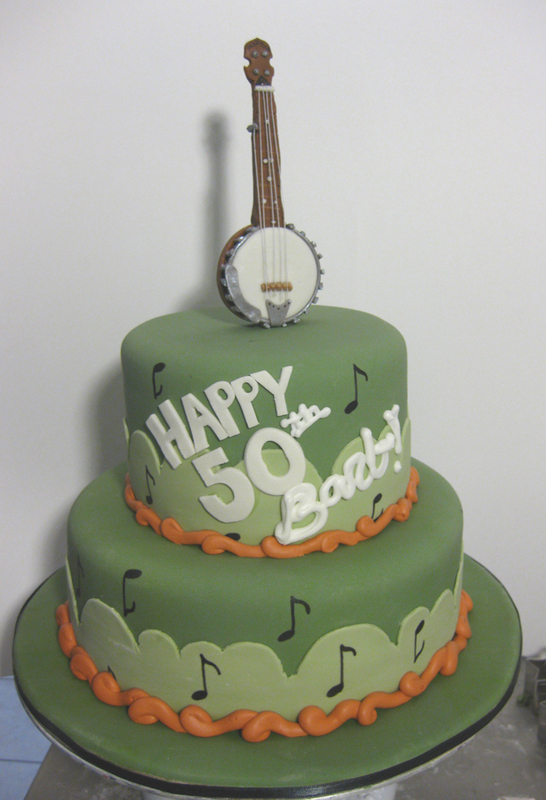 A surprise cake for a banjo player turning 50. The banjo is handmade from gumpaste with the cake design made to resemble an old bluegrass poster.